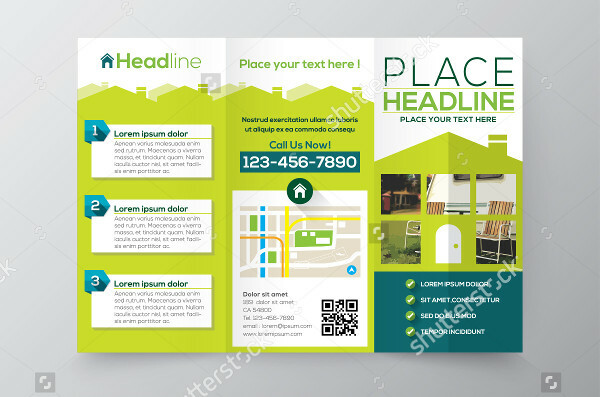 An advertising brochure is usually created for businesses to market their product or services to potential customers or consumers. Depending on the type of marketing that is being targeted, advertising through brochures need to be studied carefully before being implemented. Physical distribution of the brochures limit the number of people that can actually be reached. 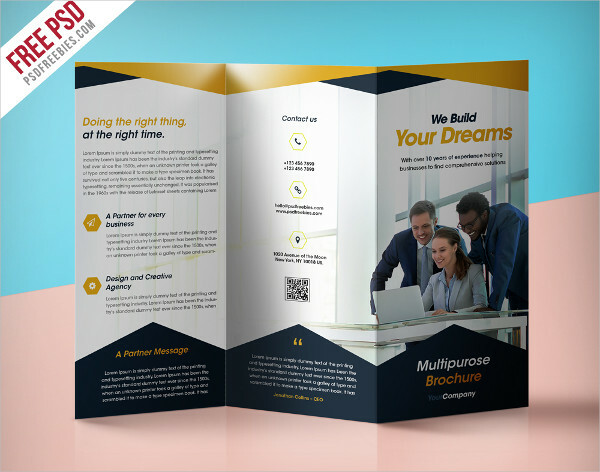 Therefore, it is of utmost importance to make a brochure that not only contains the essence of your business but catches the eye of the potential buyers. 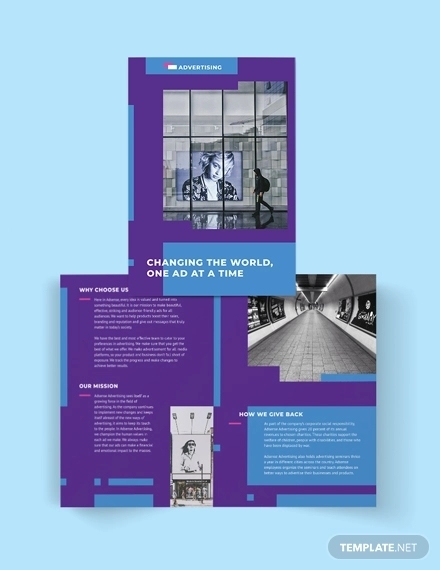 Several advertising brochure examples and samples can be found in the page. They are available for download at the click of the download button. 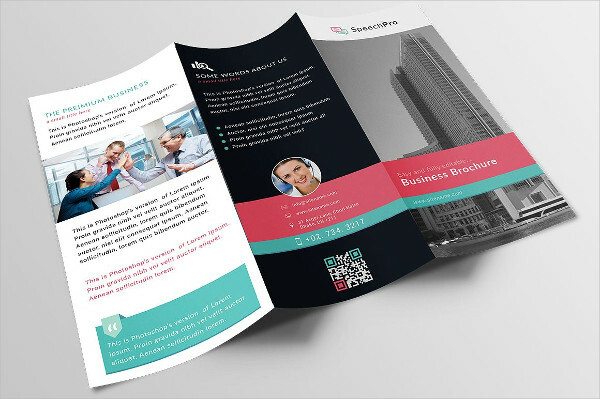 Brochures are generally of importance to marketing when it comes to small businesses in terms of function and versatility to reach potential buyers or consumers. 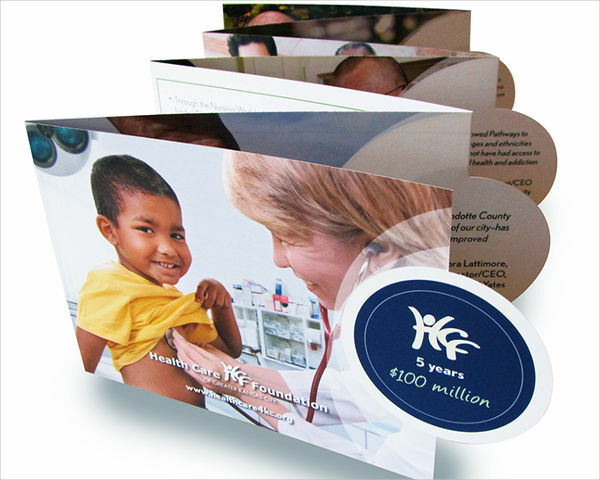 As implied, a brochure can usually cost as little as $1 to produce depending on the quantity and quality being ordered. The greater number of brochures ordered, the lesser would be the print cost. 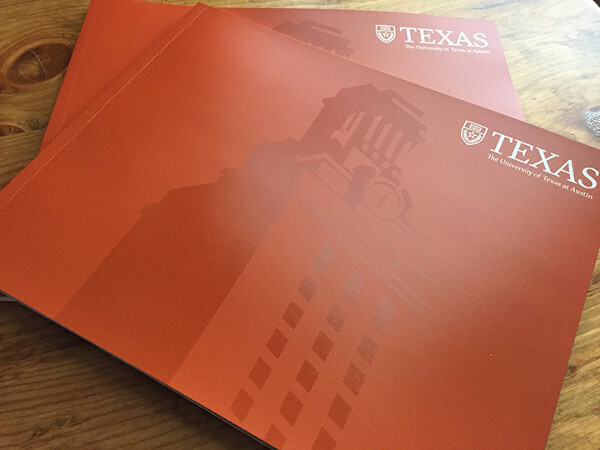 Also, adding more colors and making print quality better adds to the cost of a brochure. These are particularly viable for companies who advertise their product by direct mail, trade shows, or public hand offs. 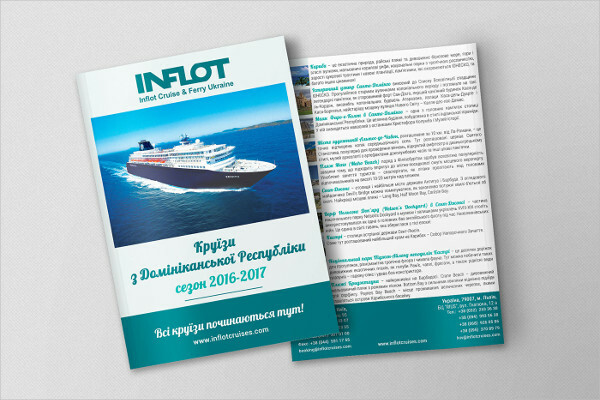 Brochures examples can often contain more detailed information regarding the company and the products and services it offers. 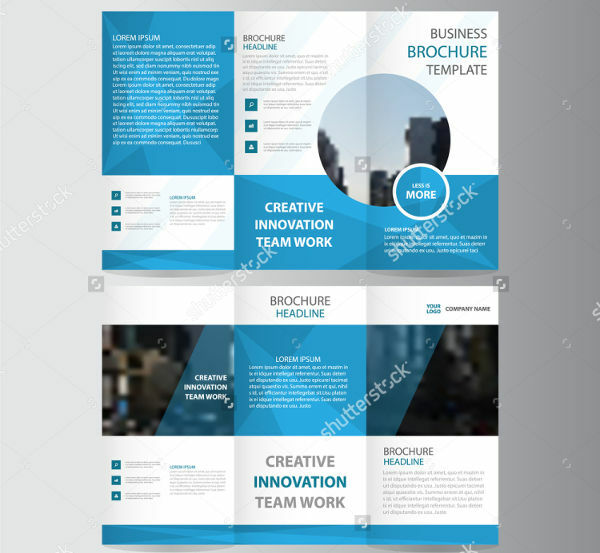 The most common tri-fold brochure may already include an overview of the company, and five separate sections for product and service information that your company is offering. Within the remaining pages, more information can be added in such as testimonies, additional product information, and call to action sections where they can immediately reach the company. 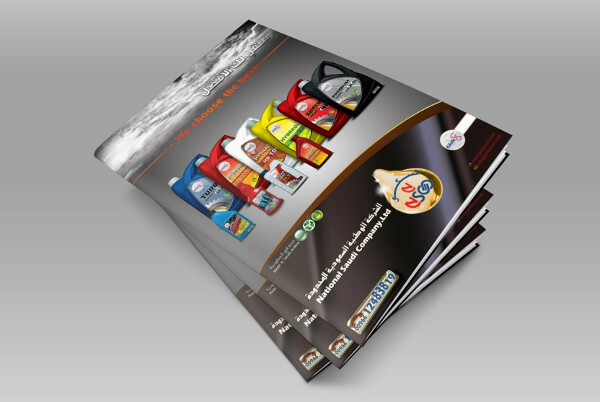 Brochures often work well in conjunction with promotional offers the company brochures is giving. They can also be given away together with corporate give away items during trade shows. 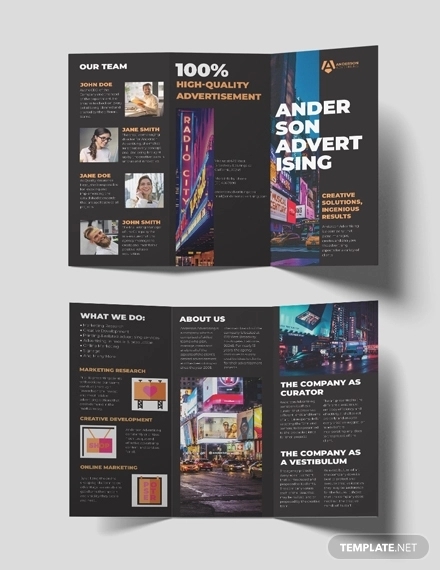 A combination between a brochure and any promotional gives the potential customer more information about the company in addition to the interest given by the promotional. Consumers are always in the hunt for free or combo packages that would give them the satisfaction of getting more value for their money. 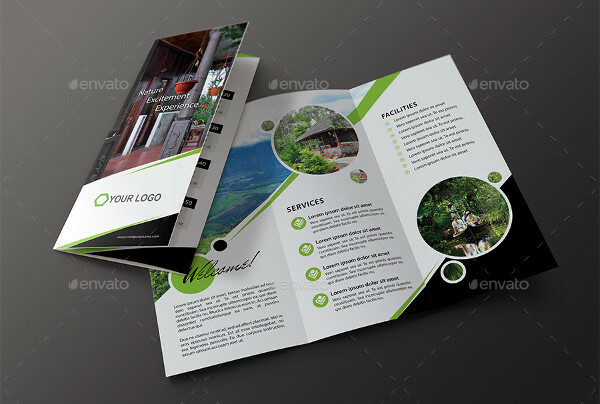 Brochures are marketing plan that can be easily deployed at any time and almost anywhere. They can be given out in areas involving heavy traffic of people like bus stops or malls. 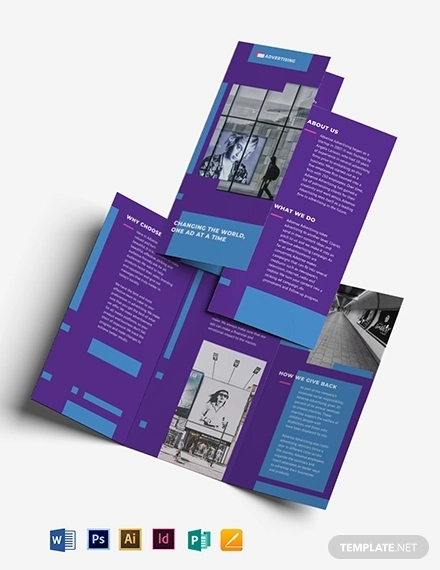 During trade shows, brochures often line up in front of the stalls of presenting companies. People passing along can easily get access to them and learn more about the company through them. 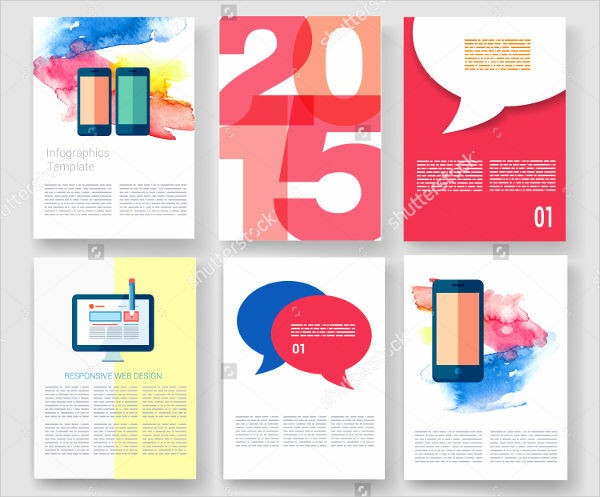 Although it contains a lot of graphic elements, the major part of a brochure is text content. More information is given through text. Some brochures simply contain too much information that common people would not be interested in reading or would not have enough time to read. 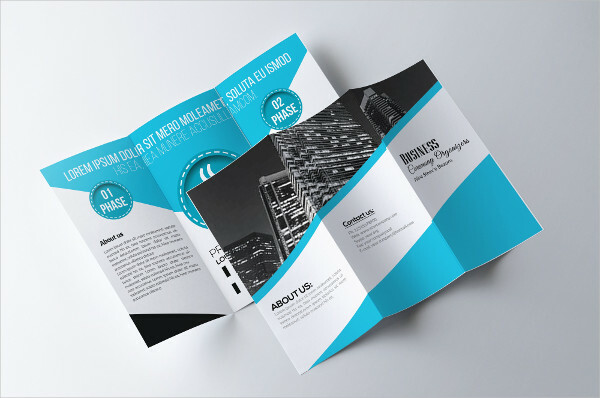 Brochure design must be aimed towards balancing the graphic component to the amount of text printed or contained. They must be just enough to grab the attention and maintain that interest all through out the material. 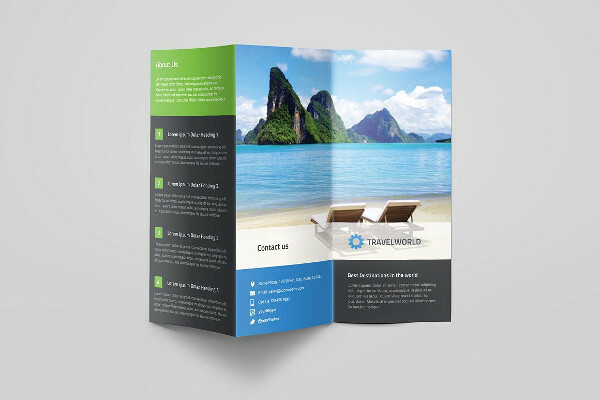 Printing brochures in volume saves up on the cost of the travel brochure but however risks the brochure to becoming non-usable as the product may change or improve. As proven over time, nothing is ever permanent as a product or service continually evolves to meet the demands of consumers and customers. 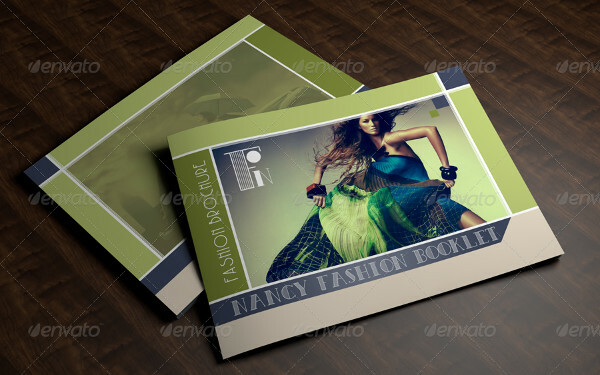 Large quantities of brochures however are printed by companies that seek to cut costs on the price of brochures. 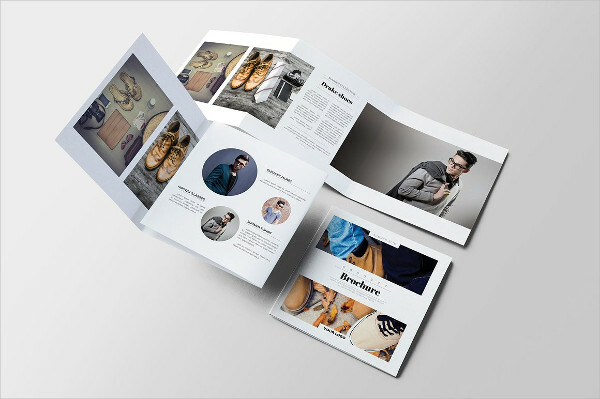 Therefore, the amount of brochures that are to be ordered or made should be made in conjunction to any marketing plans of further improving a brand or product. Before that happens, all brochures should have been distributed or given out. 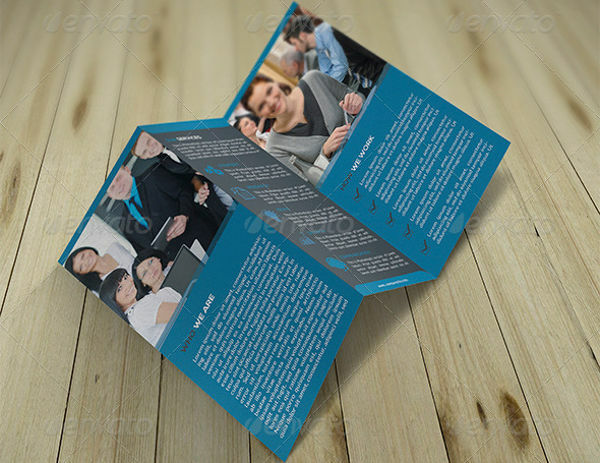 The creation of a brochure takes a bit of time as items within the brochure have to be intimately checked and rechecked. Attention to wording and the photographs contained within the brochure have to be given in strictest detail as the brochure has to look and be read professionally. The selection of photos to be used and the text content have to be part of the marketing plan so that the reader would be more interested in reading on rather than giving up and throwing the brochure away. 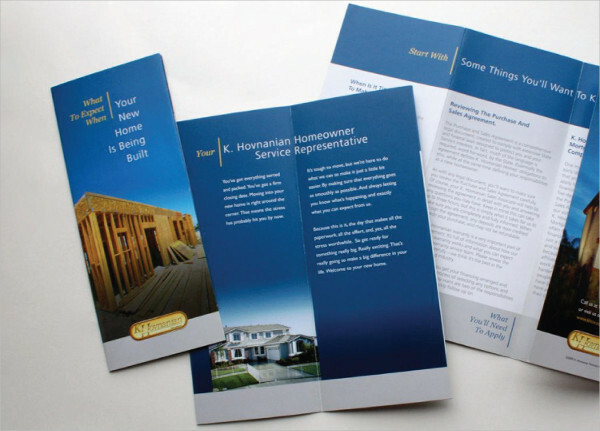 Printed brochures have limited reach as they can only be either mailed or handed out personally. A different kind of approach being done today is through the use of e-brochures which are given out via email. 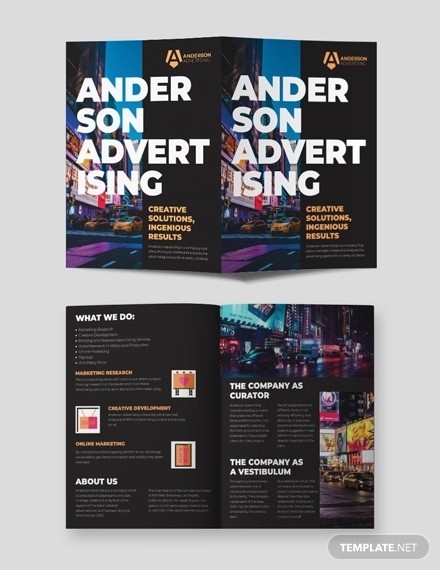 Advertising Company/Agency Brochures – Advertising company brochures commonly come with an overview of the company and most of the rest of the pages woud contain existing clients or the customers they have served. 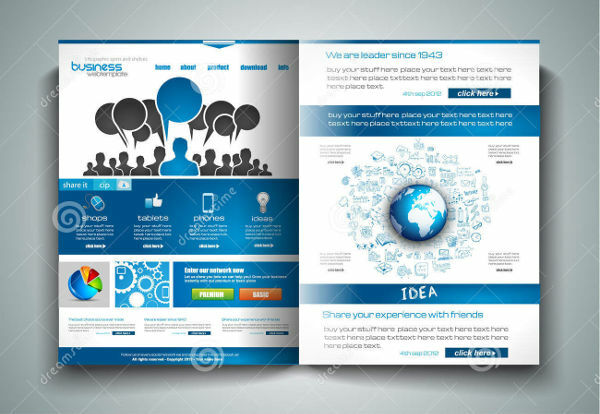 The examples shown in the page consist of trifold advertising brochure, free company brochure, and a profile advertising brochure. 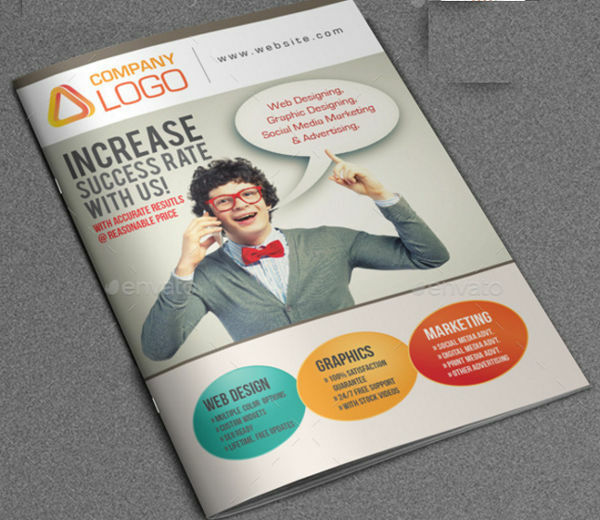 Corporate/Company Advertising Brochure – usually of tri-fold nature. Starts off with a short company profile, mission statement, and usually a message from the Chairman or CEO of the company. 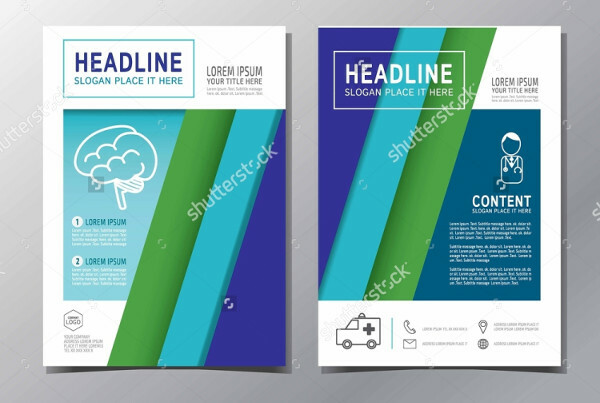 Most company advertising brochures or advertising brochures in general, has a call to action page where details to contact the company are provided. 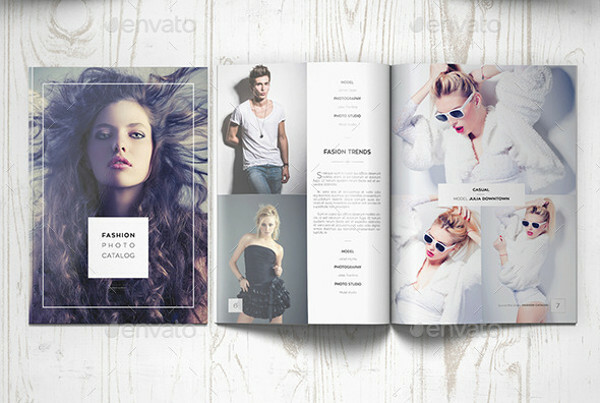 Indesign Brochure – This brochure example was created using a desktop publishing software. This specific example shows content that is suitable or compatible with modern devices such as tablet devices and other online digital formats. 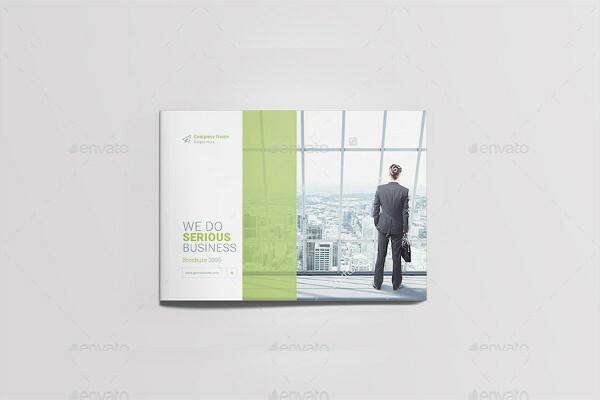 Square Product Brochure – This brochure was designed as a universal template brochure with original structured editorial layout. A sample found in the page shows how the layout is done. A4 and A5 Brochures – These brochures come in the A4 size (210mm x 297mm) and A5 sizes (210mm x 148mm) respectively. 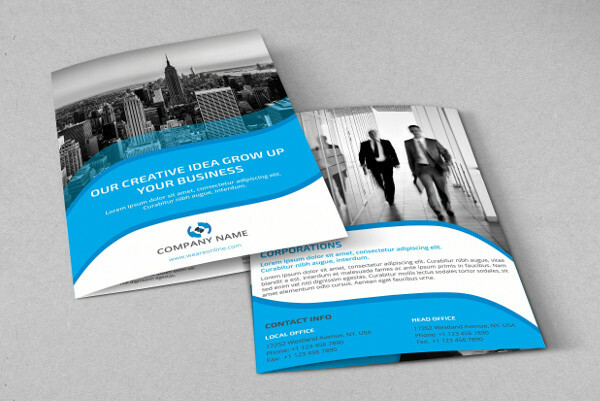 A4 size brochure is the most popular size for a brochure while and A5 brochure comes in close to a second. 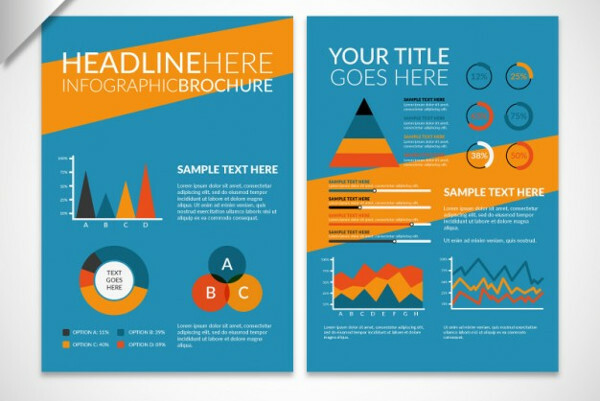 Infographic Brochure – This type of brochure design incorporates complex meaning and information into one graphic visual. 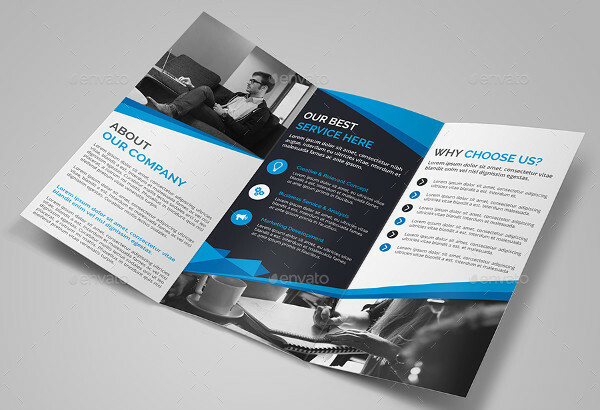 An example showcasing this brochure design is shown in the page. 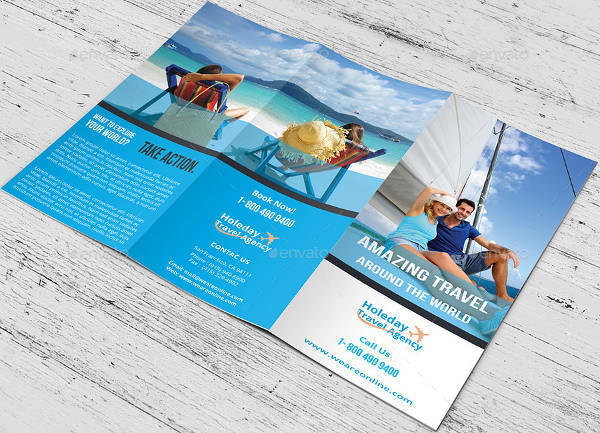 Travel Brochure – As the name suggests, this type of brochure showcases places of travel and usually made by travel agencies. Examples shown in the page feature a travel agency and a cruise company. 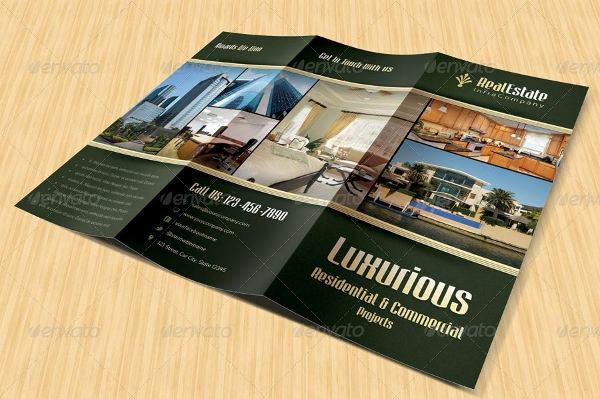 Real Estate Brochure – the brochures featured in this page are A4 size and tri-fold brochures showing the location of the development and amenities of the development. 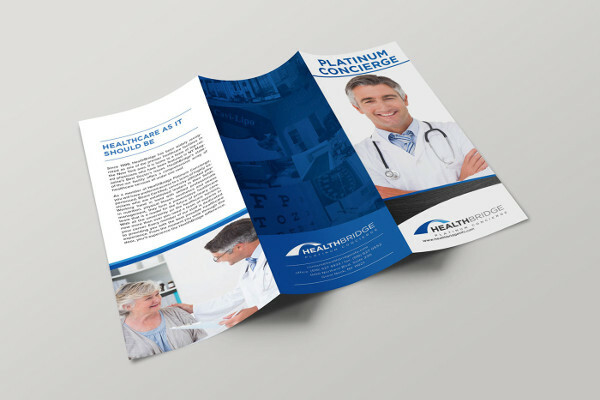 Medical Brochure – usually relate to the medical field. 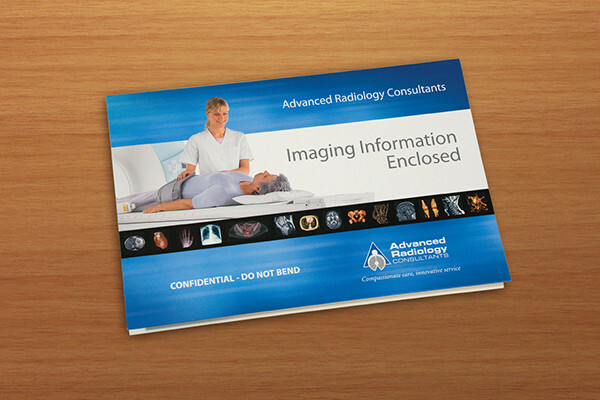 Some brochures feature product breakthroughs and testimonials relating to the medical product.